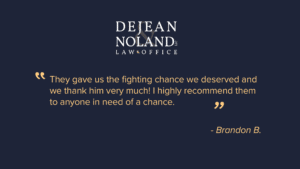 Hear what one of our satisfied clients had to say about his experience with DeJean Noland, LLC. It’s more than just a case. Our clients become family.